ECMO stands for ExtraCorporeal Membrane Oxygenation. It is a therapy that uses a heart-lung machine to do the work of the lungs and sometimes the heart. This maintains blood flow and oxygen to the vital organs, like the kidneys, while the heart and or lungs rest and recover. ECMO therapy uses an artificial lung outside of the body to provide oxygen and remove carbon dioxide (lungs), and a pump to relieve the stress on the heart. ECMO therapy can be very helpful, but it is not a cure for a heart or lung condition. 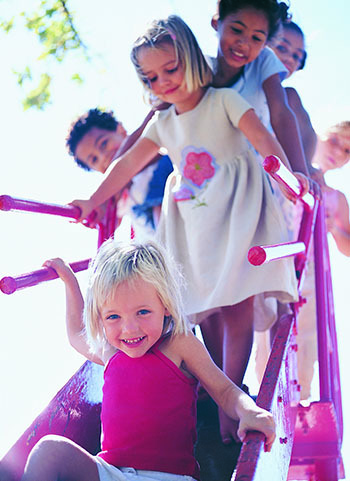 Your child can be on ECMO for days to weeks. In the Peyton Manning Children’s Hospital Pediatric Intensive Care Unit (PICU), ECMO therapy happens directly at the child’s bedside. Every child has 24/7 continuous pediatric intensive care nurses and an ECMO specialist as directed by the attending Pediatric ICU physician. Venoarterial (VA) ECMO is used when the heart and lungs need support. Blood is drained from a large vein then oxygenated and returned through a large artery. 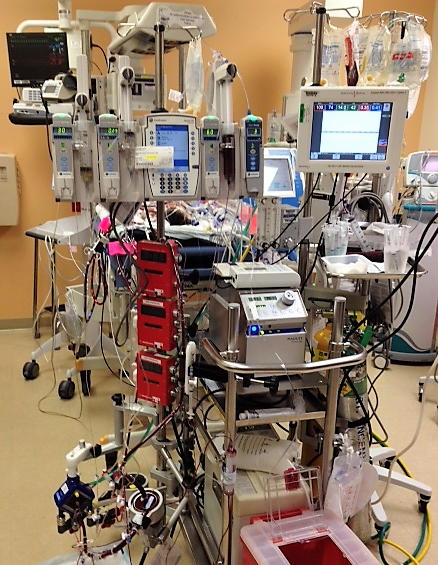 This type of ECMO allows the heart and lungs to rest and get better. Veno-venous (VV) ECMO is used for lung support only, when the heart is still working well. Blood is drained from a large vein, then oxygenated and returned through the same vein or another vein. This type of ECMO allows the lungs to rest and get better. Both types of ECMO provide oxygen in the blood to organs and body tissues. Once there is enough blood flow through the ECMO pump, the ventilator may be changed so the lungs and/or heart can rest.